Finally we are able to announce the first edition of 3 day course in Rome for young professionals whom are going to get involved in internship programs towards Korea. 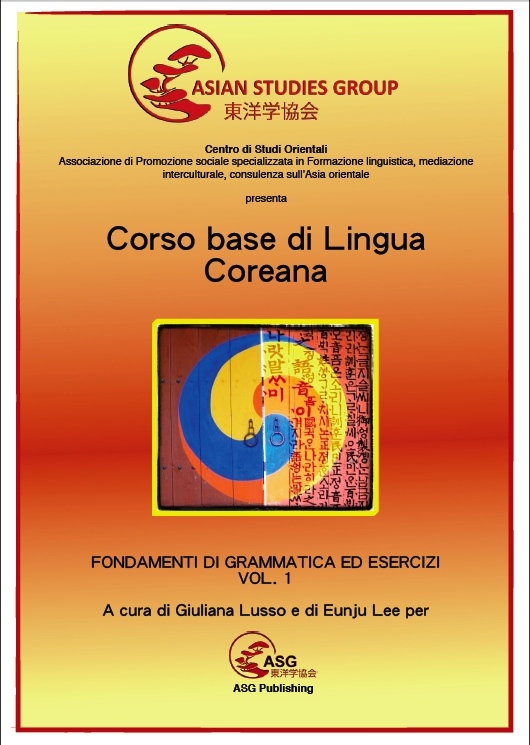 In cooperation with Asian Studies Group that is providing first ever in Italy well framed exchange and internship’s opportunity about Korea, we are introducing 20 hours intensive course that consists of four micro sections that we consider as fundamental part of regular course that make on focus language skills and communication using korean language. Totally the specialization’s training is structured with 50 hours of class in Italy (language + business culture and business development’s perspectives in contemporary Korea + macro economy and economy’s structure) after such preparation our candidate is able to join 2 or 3 months internship’s program in Seoul or in other main cities in Korea. Usually Asian Studies Group in cooperation with consulting firms focused on internationalization’s projects on eastern asia (ADM – Ea Consulting in Milan) can support candidates on finding interesting internship-opportunities in China Japan Korea and recently introduced well framed programs in Seoul based on language course for international certification TOPIK and cross cultural experiences at international organizations, korean association and companies involved on working projects with Europe. 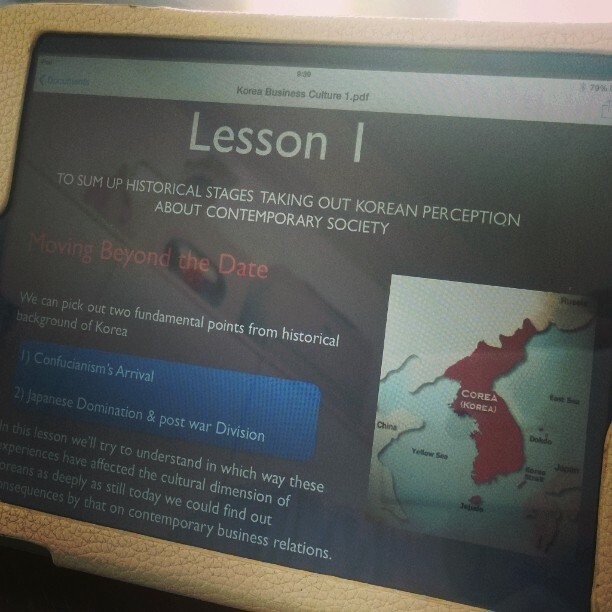 As follows some topics of the course managed in Italy by Asian Studies Group that offers material in e-book format and ipad digital version in class, with double sections in Milan and Rome every year available before the departure of our candidates for Korea. During internship our candidate will manage personally specific project-works and results of such analysis will be introduced to official commission with participation of asian and european observers among personalities of institutions, academic faculties and professionals that will judge the contents and skills. This phase represents concrete core of the project and it’s useful to support our candidates for their join to ASG Alumni Association & Professional Networking Album that is reference of our candidates among companies and organizations working on eastern asia markets. Small group of italian people speaking korean… it’s not only cool and really exciting for those aspects may concern cross culture and linguistic vision, but I think it could be considered a new point of start for that we can call “perception of post modern melting pot in Milan”. It was really nice today to introduce to our members, smart people who really love our “way of melting cultures”, Mr Koh General Consul of Republic of Korea in Milan, during diploma ceremony for our students whom are taking part to Korean classes in Asian Studies Group. The occasion was really important on creating new perspective of cooperation for cultures and societies between Italy and Korea. It would be a periodic appointment really useful for the organization I’m running as president and director of studies, on make our students more involved in international dynamics embracing eastern Asia cultures. As they showed us today they’re really studying hard ‘cause they want to face with Korean market and local players with competence and concrete knowledge about communications strategies and charismatic approach. Language is for sure one of most high-value ways to get more familiar with so different cultures. We’re supporting as much as we can the Korean Boom in Italy and official courses for this language are already started in Milan, Rome, Padova and Turin and we’re busy on managing well framed contents and diversified levels, in particular taking care of specific needs for whom desire to study for specific purposes of certifications. The next step for me will consist about planning of business tour in Korea focused on meetings that will help my organization to provide tailor made services for university students, research centers, young professionals looking for opportunities of relocation for their career, associations that operate on international projects and exchanges: Korea is really looking towards Europe and Milan will host one of most important events of the century for that may concern sustainability and development of productive processes. Market is ready for sure to boost international opportunities of dialogue, but we have to think also about people: business needs always patience, passion and of course people. I always use the rule of 3 P during my training programs for corporates, cause I think that the human element represent a fundamental to plan winner strategy on approaching external markets. As advisor for internationalization of companies on eastern asia markets I feel really comfortable with commercial issues but european corporates need more time to consider that economic systems are first of all different for that may concern people… and starting with education, investing on people time and resources will be for sure the right step for successful approach. As advisor for companies that are really looking towards international dimension to relaunch their businesses I’m pretty familiar with the importance that such dynamics on operating as international player can represent for development and production of SME. Then, if we’re talking about italian contingent situation, in particular if we consider the perspective that actually productive policies and central executive government and local administration are providing for the common good of our national economic players, I think that immediately you’ll agree with me about the high value’s content that it could be represented by introducing free and inter structured platform among sector-operators and professionals to boost international effects into national markets, always looking forward to provide cross-social education and training about the meaning of such involvement for well framed comparison managed on international scenario. No lobbies or real-politic’s games. 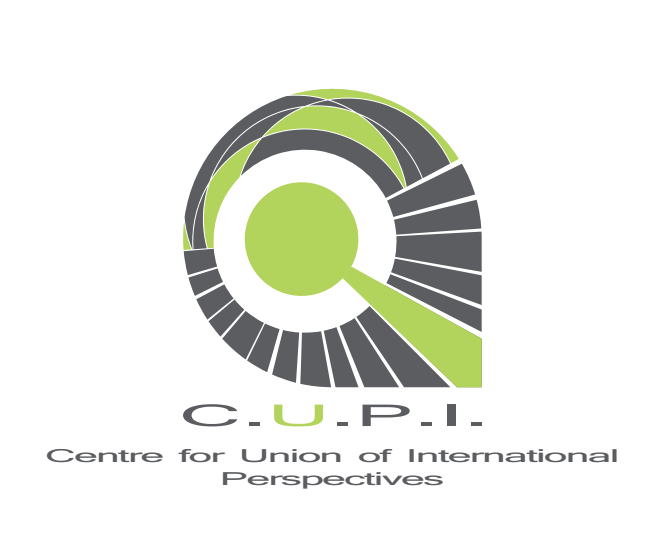 Just concrete needs to build up network of efficient players that will make on sharing tools, vision and cooperation to develop diversified projects that will concern the relaunch of sectors, territories and marketing strategies on international dimension: welcome to C.U.P.I – Centre for Union of International Perspectives. Working board aimed to operate with well framed dialogue about the topic of internationalization’s of economic subjects from specific territories. First of all structured with joint cooperation of associations, sector-workers, professionals, representatives of categories, common citizens associated by interest on valorizing high profile’s dynamics for that concerns perspectives of international promotion of their activity; everybody joins the board with deep awareness about the importance of sharing results and aims to make mutual perspectives more concrete and functional into sustainable development’s frame. To guide the territory towards concrete proposals for the relaunch of working opportunities, education and research’s development for an high value’s emancipation about international dialogue, reinforced by exchange experiences and professional comparisons collected in co-working atmosphere with well framed social cooperation’s activities. These operations will be also useful to create common consideration about the topic of international dynamics and international events that could bring more opportunities for the benefit of territory and players. Shared tools panel structured among supporters and members of C.U.P.I. with agreement to make more easy and sustainable the access to services form common goals and perspectives. comune. C.U.P.I. represents a long time highly “felt” and discussed project. As working board among professionals and organizations, it takes place in Milan and it embraces operators almost from the area Padano – Veneta, but it is already collecting energies and proposals from foreign partners and associations. In particular the Association that I manage as President and Director, Asian Studies Group well represents the cross cultural “soul” which we want to approach for example operators from East Asia – In tight connection we have already introduced the activity of EU Networking Centre in Japan from Kobe, and some consulting companies that operates on internationalization’s of SME on foreign markets, both EU and not EU markets. In particular in Bologna we are already working hard with Internazionalizza S.r.l. for that concerns some companies in that area and they are approaching Japan, China and Korea, and recently we’ve started to collect some contributions and proposals from GN Lex – legal firm with hq in Milan and operative branch in Shanghai. In Milan we well know the activity of CMEX China Milan Equity Exchange and Carone and Partners Legal firm which we’re used to consult frequently for some issues in behalf of our C.U.P.I.’s members. Recently we’re also cooperating with AITA – International Association for development of Advanced Technologies with hq in Rome with recent branch in Milan to assist some projects during Milan EXPO 2015. In particular, concrete board for cooperation in behalf of key local sectors during Milan EXPO 2015 is one of our first high working points which we’ve introduced recently the activity of our group. ‘Cause in Milan operators, associations, professionals and companies are already working towards right and effective mood for the international event, we think that some borders- area like Province of Lodi, Province of Pavia and Brescia, Bergamo, Monza etc (and I’m not talking about local administration as politic entities..) should create more intense network of projects to boost the opportunity the Expo will bring us towards their local operators and territories. That’s why, for example, recently we’ve presented to Lodi Export (consortium for development of exporting opportunities for province or Lodi’s area) the proposal to join our discussion-group to focus on common aims for mutual benefit that international perspectives could bring to this area. It could sound strange when you receive an email with special invitation to introduce your activity and your network directly to the director of public diplomacy division of Ministry of Foreign Affairs… more interesting if we’re talking about of Ministry of Republic of Korea and the meeting has been hold at Korean General Consulate in Milan. It means that something is changing at the same time with our perception of being in the middle of cross cultural dynamics that are influencing a lot social relations and economies all around the world. For me and for other groups that today represent something in connection with East Asia and Korea it was the clear demonstration about how Italy or other EU countries should improve skills on making own presence more familiar with international issues trying to involve also people, professionals and society in general; ‘cause the building of conscious inter nation community starts from the individual and that’s why the role of institutions are really important to facilitate such education. By the way, the purpose of the meeting was to listen which projects are going to be managed about korean culture, korea language and also about general promotion of that it has been called “Korean Wave 한류 – 韓流” and refers to the frame is becoming famous mixing pop culture, music and cinema from South Korea. In particular through my speech I wanted to make the group of representatives of Ministry aware about the second step is going to follow the pop-culture’s boom: with such cultural – joint there will be also in Italy an improvement of image about Korea into more “organic vision”, I mean something like an holistic perception that will bring our “fan of Korea” more aware about new and different ways to approach and live a passion called Korea. We must be ready to prepare structured services that can support such interest and make years of studies and researches about Korean system, language, economy, culture something orfreally concrete for careers and professions or for business communication among economic players between Asia and Europe. I mean, even if K-pop music is very interesting cultural – social phenomenon and korean movies directors express very particular vision about esthetic and society in general that we are glad to appreciate for its features, I wanted to point out as Korea represents also a very special country that is going to introduce years of intense history built between two hard partners / fighters like China and Japan and that nowadays is going to embrace new vision of introducing productive and corporate system all around the world. It represents a place where now it s gonna be possible start dealing with, in particular if we got awareness of what South Korea represents, its booming economy and the characteristics of chaebol system. Korea wants to meet Italy and it is becoming EU- lover for some issues, and after impressive action played by its corporates now wants to communicate who they are, what culture they have, which mutual opportunities could be shared and more… It was really nice to discuss with the director for international cooperation’s division, Mr Hong Jin -wook, introducing how our Asian Studies Group is going to promote in Italy and in Europe also with our partners in Malta where we are welcoming lot of korean students who are studying english there. Our mission will start on providing well structured consulting services – system that has to offer information, support and tools to approach Korea starting as students during university age, but also as professionals or corporates that need to plan strategy for their approach or orientation’s service as scouting service as well. On doing that we’re going to keep always on mind like cross culture and mutual respect are the fundamentals which we need to take care about to plan the best communication and relation with korean partners. We don’t want to be in competition with universities in Italy for oriental studies but we well know that universities cannot provide sometimes quick and effective services for whom needs to re-locate in Korea as post degree students or professionals. So that’s why we’re more into cooperation’s projects that competition with entities that manage a different position in the educational system (and honestly i think that Universities should think more about other problems than looking to us as competitors). If we wanna to prepare our national system to be good partner of eastern asia countries we should leave some lobby’s preferences and start thinking like part of same bodies that we need to make on moving fast and on harmonious way… Confucius said well and China.. Japan.. and also Korea.. can bring up their society on cooperative vision. Should we start do the same or not? 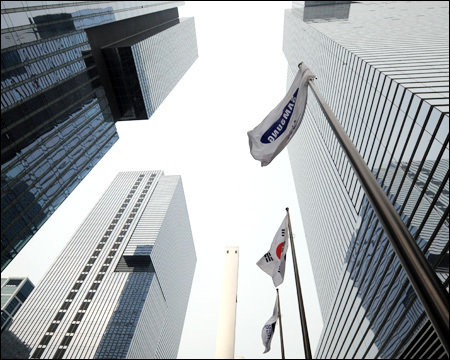 Korea is driving fast, leaded by massive Chaebols through direct investments on international market, it is strengthening its role of well structured economy among eastern Asia players. Even if sometimes private industry boosted national image faster than political and institutional actions have done before, during last year, after nomination on February of new president of Republic of Korea, Park Geun-hye, more national leading has been observed in behalf of entrepreneurship. We can consider the imminent event about water – business forum that is going to take place in Daegu City from 30 of october 2013 as relevant statement of such dimension of well framed cooperation. The aim of such team – play is clear: reinforce international position of South Korea as reliable market on doing business, promote national industry in particular about technical solution and R&D’s activity, focus on important topic like water that represent a substantial theme for economic and geo-political alliances among players of relevant position in the field. This year’s expo and conference are co-organized by the Korea Water Forum, which is a Korean government agency and think tank in charge of its water-related policy, technological cooperation, and international partnership. The subsidiary events for this year’s Water Conference include the 6th Challenges in Environmental Science and Engineering (CESE) Conference, the Membrane Society of Korea General Meeting and Autumn Scientific Meeting, the Water Management Symposium and the Water Industry Cluster Vision Forum and Policy Presentation. The Water Expo Korea is the country’s first and foremost water business-to-business exhibition and conference, hosted by the Ministry of Land, Infrastructure and Transport, Daegu City, and the organizing committee for the World Water Forum 2015. 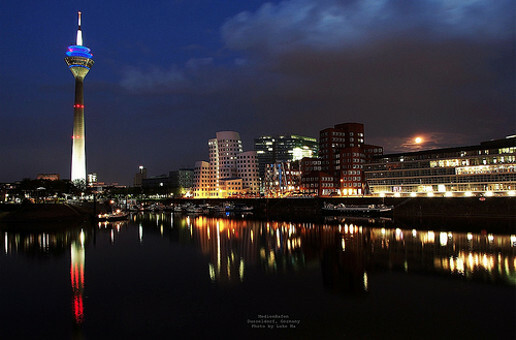 During the year of International EXPO in Milan, on april 2015 in Daegu will take place this import event that should be a “strategic link” with Europe and in particular with those fundamentals about research, sustainable development and social contents that will be discussed during the international event in Milan City. Already more than 500 water experts and high- l evel representatives, including about 150 international participants from 41 countries, participated in the 7th World Water Forum Welcoming Ceremony and the Kick-off Meeting in Seoul and Daegu this year in May. Big firms in Korea are investing a lot into such ventures in particular for technical destination of water usage, discovering more connections between research, technical application energy’s production. In South Korea the corporate system is still well based on direct investments through share – participations by korean holding in interrelated fields, so that’s why during such forums it could be really interesting and useful get in relation with important players that could support with assisted partnership some scouting / b2b dynamics into the local corporate network. My professional studio is focusing on specific analysis about players that will join on this session of Water Expo Korea, in particular is introducing to asian partners particular open- issues in behalf of european players that are starting on relocation of technical research, venture opportunities and market – entry dynamics towards Korea and east Asia in general. Water Expo Organizers and Korean Institutions and offices for internationalization’s of companies (KOTRA) are really working well to assist our clients according with specific needs. We introduced korean language with our training programmes in Asian Studies Group just three years ago after long experience on teaching japanese and chinese. I was pretty curious about Korea when I got opportunity to join a consulting board in behalf of american multinational company with branches in Italy and Austria, that has been involved on some troubles about management system and business culture with korean partners. So when we decided to introduce Korea in Asian Studies Group it was for me like a “new love” that absolutely I wanted to discover and promote. The result was really impressive. We collected inquiries and requests to join our didactic programmes from dozens of different cities in Italy. That’s why we introduce also online classes with korean teachers because we couldn’t start with in-class activities everywhere in such short time. After only one year we started to promote study travels in Seoul because everybody among our students shows us big intereste about going there and make their study more concrete and intensive, and actually we’ve already sent some groups of italian students in Korea. Now we’re facing with new dimension of discovering Korea. There’s for sure a big portion of Korea-lovers that are more into pop culture (like pop music, drama, movies) and they represent a good target to introduce how Korean language is, as they always confirm with passion and happiness our study travel’s solution with great participation; but honestly the big challange for us (as Studies Centre and Consulting Firm) is represented by well framed target of university students and professionals whom are more into international certifications of korean language (TOPIK) and job placements in Korea. There are also some italians whom already got personal professional experiences there with mixed results (somebody s enthusiastic, somebody else more embarassed for some businesses managed probably on bad way with korean partners that probably are not Key Opinion Leaders in their field or position). As we started to build a service that could offer a concrete tool to prepare TOPIK and to join internship or master / bachelor courses in Korea we faced with too much disparate levels and programs (sometimes withouth specific didactic aim or any well organized course for bachelor or master provided in our country). At the same time when I tried to introduce some B2b solutions to Chambers of Commerce in Italy in cooperation with organization in Korea (KOTRA is pretty interested and dynamic recently about promotion and introduction of opportunities of investments in Korea) I got again the perception that Korea as destination for business and international relations still needs social awarness about its identity and national profile etc. 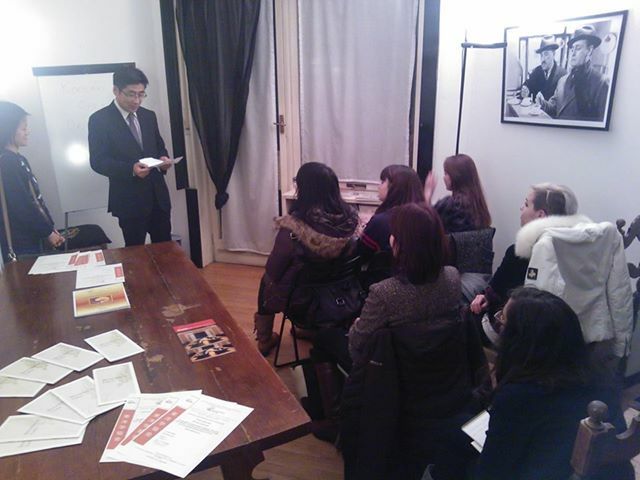 As I introduced to Consul Koh recently during the meeting I joined at Korean Consulate in Milan, now it’s really time to explain to european students and young professional what does Korea represent as destination for study, specialization, working opportunities and cross cultural integration and how we need them for mutual business and concrete joint-programmes for bilateral relations. We’re really happy to offer some occasions of discussion, learning and cultural promotion in Asian Studies Group in Milan durin del Korea Culture Week from 23 of september. We’re going to provide some open – lessons of korean language, we’ll introduce our students and we’ll tal about study experiences in Korea and we’l be glad to introduce bachelor or specialization’s opportunities as offered by universities in Korea. We really like also to start official preparation’s course for TOPIK sessions in Italy as lot of our members asked us in Rome and Milan. Probably not so many people remember that but some month ago the has been signed a new agreement for comemrcial bilateral relations between Europe and Korea – It represents really a new dymension for international cooperation and for business ventures between EU and Korea. But I absolutely think that institutional dynamics must be reinforced by social awarness. 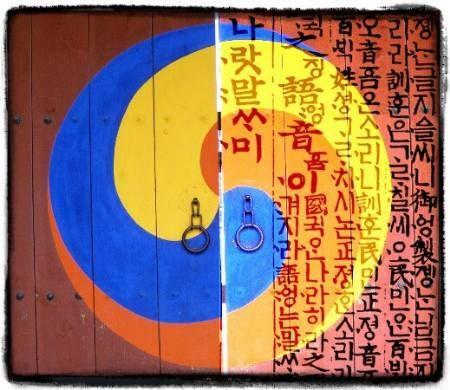 To boost korean culture and language could have a really important function about that.